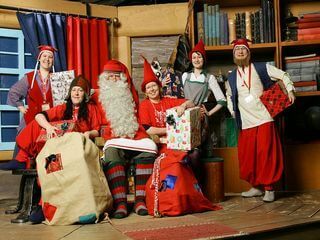 Join us for a guided tour of Santa Claus secret village, Santa’s Park and enjoy the magic of Lapland with your loved ones. 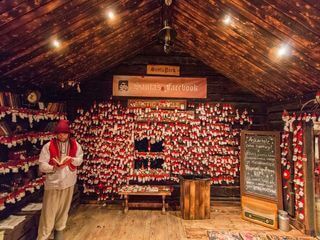 Join us for a guided tour of Santa Claus' secret village, Santa’s Park and enjoy the magic of Lapland with your loved ones. This is the place where Christmas magic lives year round and where Santa and his joyful elves make presents for children. 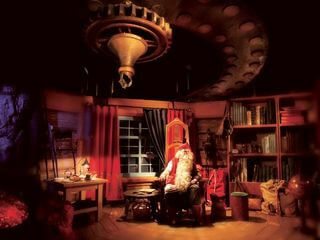 Get an exclusive sneak peek in the Santa’s office and find out where all letters to Santa go. 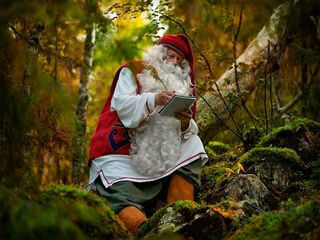 We will take you to meet the Santa and take part in the ceremony of crossing the Arctic Circle. On top of that we will take you to Santa’s Park, located 2km from the Village. We will start our tour with hotel pick-up. We specialize in small tours only, so you can expect a private, family-friendly tour. 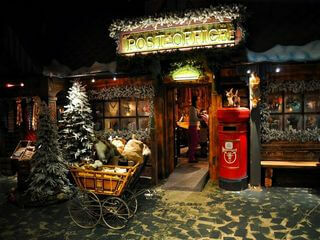 As we get to the Santa Village you will learn about Posti, Finland's national post service. In Elves’ Post Office you can send warm wishes to a friend or a loved one using the official Arctic Circle stamp! 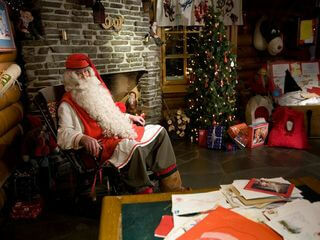 Next, you will get a chance to meet the Santa in his office, take photos, and make memories. 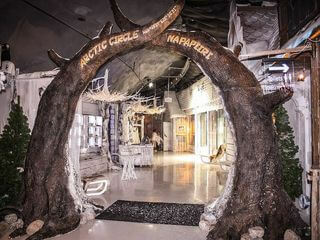 After you visited every single stop in the village, it's time for a magical ceremony of Arctic Circle crossing. Although not visible on the map, the Arctic Circle is considered a special place, where magic lives and no stress is allowed. You can roll over the border, jump over it, or elegantly cross it, alone or with your loved one, holding hands, or hugging each other. You will get a certificate of crossing - a special memory you will cherish forever. We will spend about 2.5 hours in Santa’s Village, so you’ll even have time to check out the gift shop and take plenty of photos. After the Santa’s Village tour we’ll hop back to the van and take a short 2km ride to Santa’s Park. 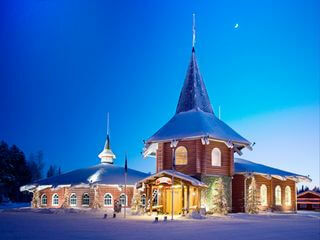 The Park is one of the most popular attractions in Lapland as it takes you straight into the world of Christmas magic. 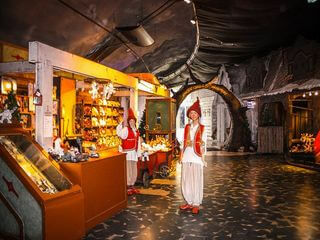 Here you can meet the Elves in their toyshop, or even see them perform a little show for you. There is the famous Mrs. Gingerbread Bakery where you can make cookies with Mrs. Gingerbread herself! You can visit the Ice Gallery, get a drink in the Ice Bar and meet the Ice Princess. Whether you’re travelling with children, or just want to relive your childhood, Santa’s Park will show you that Christmas magic truly exists. Last, but not the least, you can take a Magic Train Ride, visit Elves in their Elf School, and take pictures with lovely Santa Park residents.